The Urban Developer and prefabAUS, Australia’s peak body for off-site construction, are holding a series of networking events featuring some of the industry’s foremost thinkers in off-site construction in Melbourne and Sydney this month. Each presenter will give a dynamic, 10-minute presentation discussing key issues, new developments and industry progression. The Melbourne event will feature Dr Tuan Ngo from Melbourne University’s Australian Research Council for Prefabricated Housing, Mark Raphael from the Cooperative Research Centre, and Rachael Sargent from the ISIS Group. The Sydney event will feature Ken McBryde from HASSELL, Caroline Pidcock from Origination/&U, Mathew Aitchison from University of Sydney ARC for Prefabricated Housing, and Robin Mellon COO from the Green Building Council of Australia. prefabAUS is determined to connect clients and suppliers, nationally and internationally as well as help all members of the off-site construction industry develop their businesses. prefabAUS and The Urban Developer invite readers to attend the Insiders events and learn from peak industry professionals. The prefabAUS July Insiders will stimulate discussion and allow professionals from the off-site construction sector to continue progress forward, positioning Australia’s prefabricated construction industry as innovative, high quality and high performing. 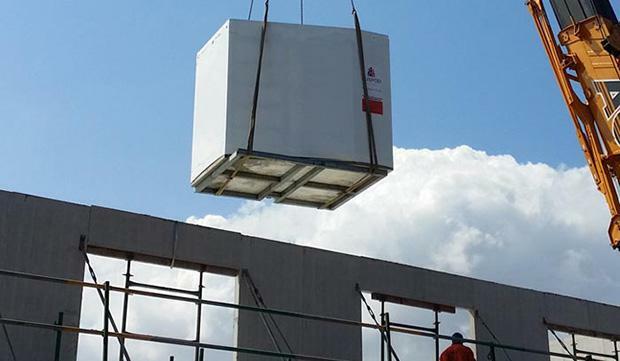 The current prefabricated building market in Australia is $4.5b or 3 per cent of the total $150b construction industry. Projections for the ten-year outlook indicate a potential market share growth of up to 10% or $15bn. The July Insiders will bring together a multi-disciplinary range of speakers, reflecting the diversity of the sector – including architects, developers, project manager and academics. Drinks and light refreshments will follow the presentations. The Urban Developer is proud to be sponsoring the prefabAUS July Insiders events.